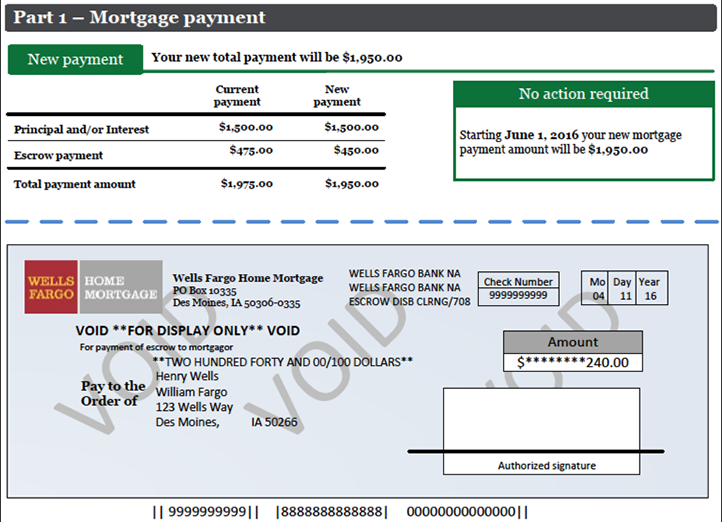 Part 1 of your escrow statement has your payment information. It has your current payment amount and your new payment amount. If you have a shortage, you'll see two options for paying it. 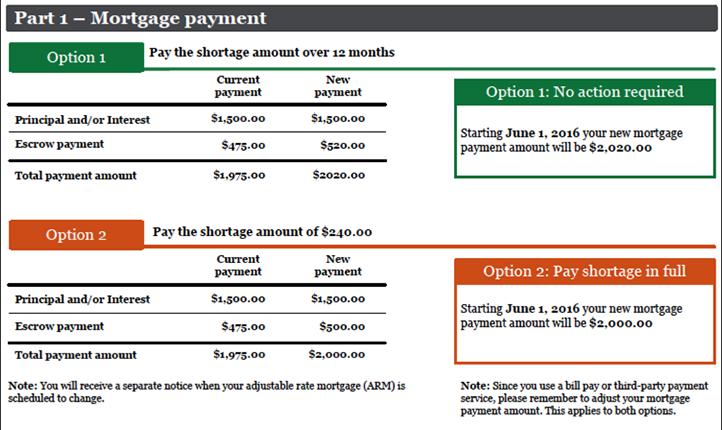 Option 1 is to pay the shortage over 12 months by having a portion added to each monthly payment. Option 2 is to pay your shortage in full. In most cases, if you have an overage you'll have a refund check attached to the bottom of this section.